As wolkenkit is a backend framework, you are completely free to create whatever client you want to, as long as it is able to do HTTP requests. Additionally, the file contains a ready-made view object which takes care of handling the UI. 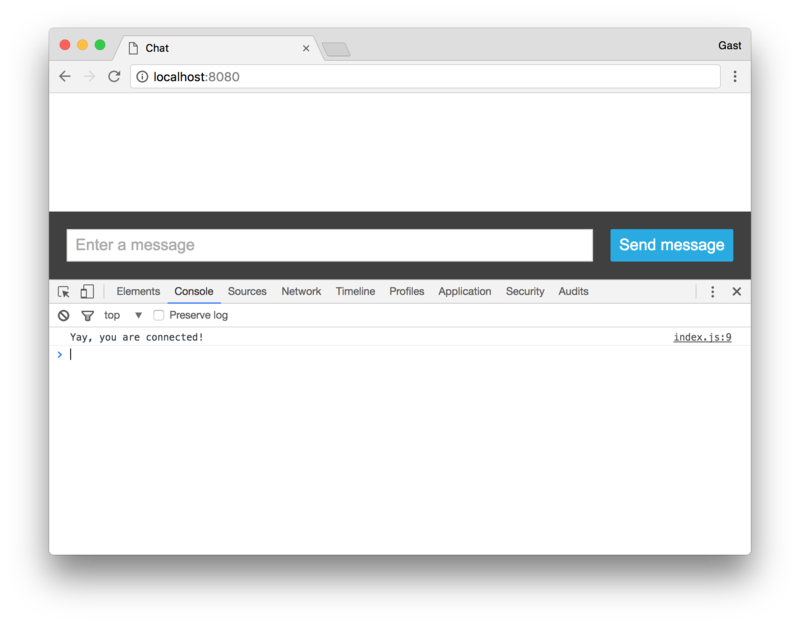 It provides a render function to update the UI as well as access to the list of messages (messages), the input field for new messages (newMessage), and the send message form (sendMessageForm). For more details, see connecting to an application. For more details, see sending commands. 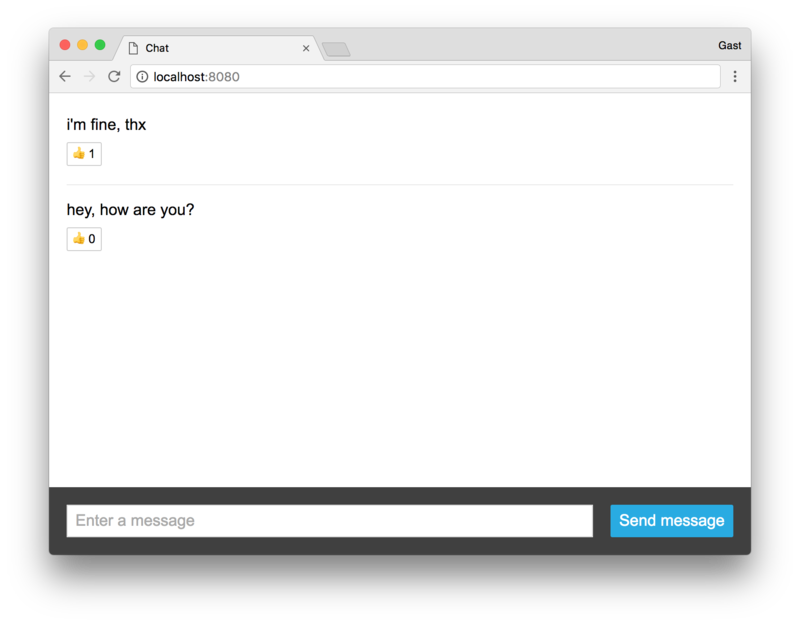 You are now able to send and receive messages, so you already have a working chat. For more details, see reading lists. What is still missing is the ability to like messages. As the client already provides buttons for this, we are going to handle their click events. For performance reasons this is done once for the list, not for each button individually. Of course, then you need to get the id of the message whose button was clicked. You have created your first application from scratch, including a real-time client! We hope that you will have a great time with wolkenkit. For now, we wish you some happy chatting 😊!